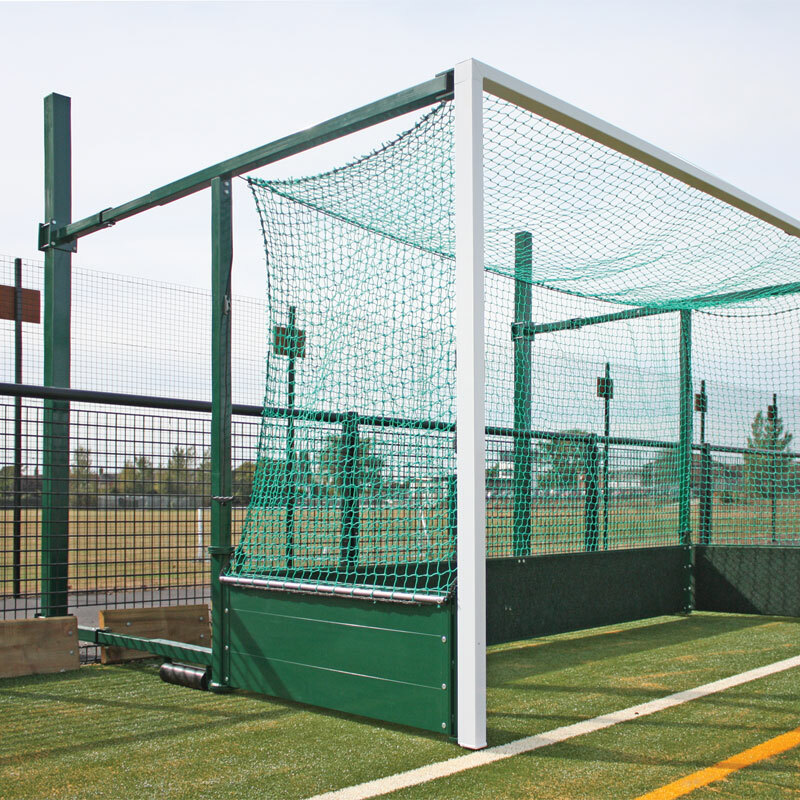 Ideal for use on synthetic surfaces the Harrod Sport ® Fence Folding Hockey Goals have unique pivot joints allowing the goal to fold back against a surround fence without detaching the backbars. 2 x Fence Folding Hockey Goals. 4 x Top Supports (2 Left, 2 Right). 4 x Through Fence Arms. 4 x Bottom Adjuster Bars. 1 x Pair of Hockey Goal Net. Uprights and crossbars made from 75mm x 50mm reinforced aluminium. 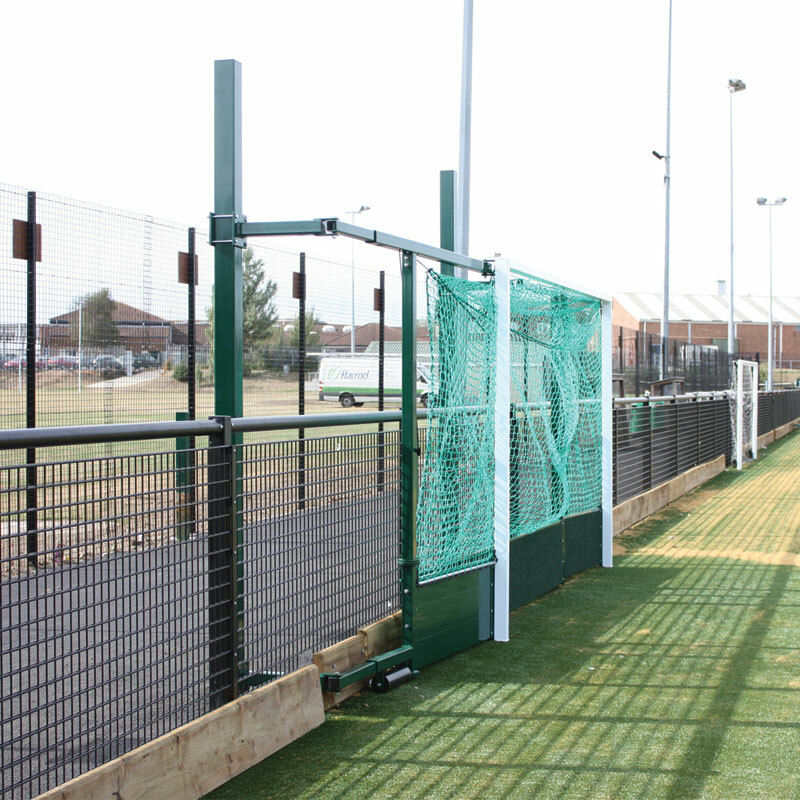 Uprights and crossbars have an extra heavy duty 7mm thick reinforced front wall to prevent ball damage and are polyester powder coated green. 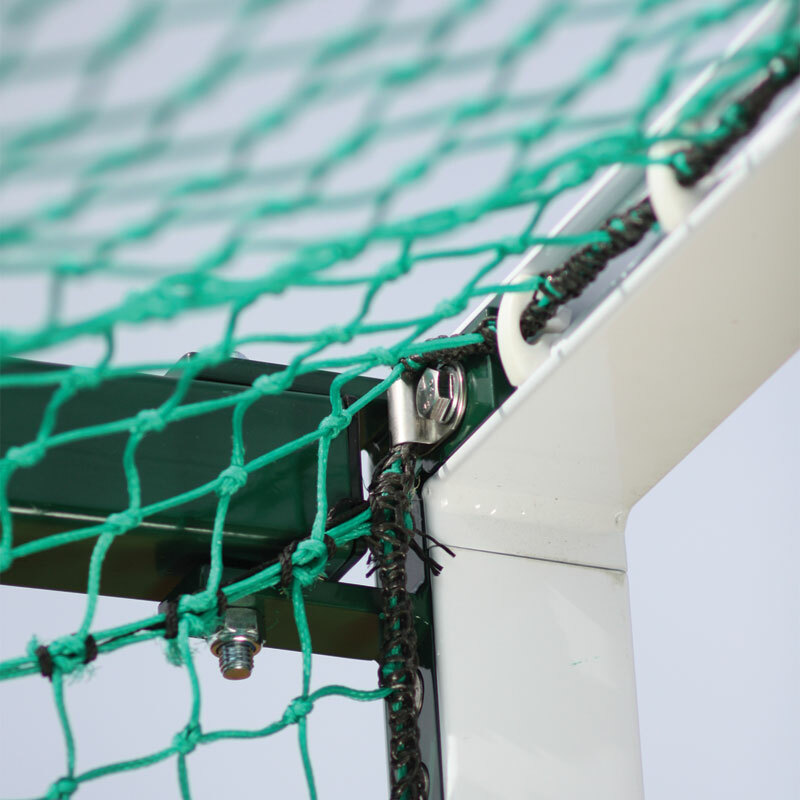 Net supports and backbars are polyester powder coated green. 460mm high reinforced aluminium backboard panels with green noise absorbing carpet on all inside faces. Support posts made from 100mm x 100mm galvanised steel and polyester powder coated green. Complete with locking device so the goal is secure whilst in play and when folded. Available in three sizes as detailed below. 3.66m x 2.14m (12` x 7`) - 353kg per pair - 2.1m to 2.5m projection. Harrod Sport code HOC-130. 3.66m x 2.14m (12` x 7`) - 356kg per pair - 2.5m to 3.3m projection. Harrod Sport code HOC-131. 3.66m x 2.14m (12` x 7`) - 365kg per pair - 3.3m to 4.8m projection. Harrod Sport code HOC-132. 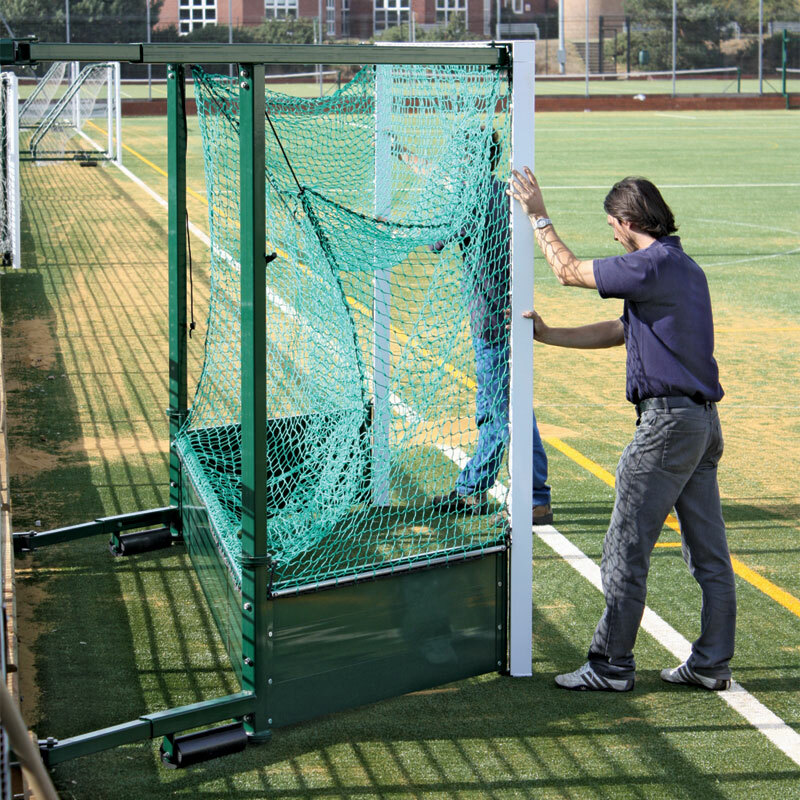 Lost the instructions for your Harrod Sport ® Fence Folding Hockey Goals? Please Click Here to download a new copy.